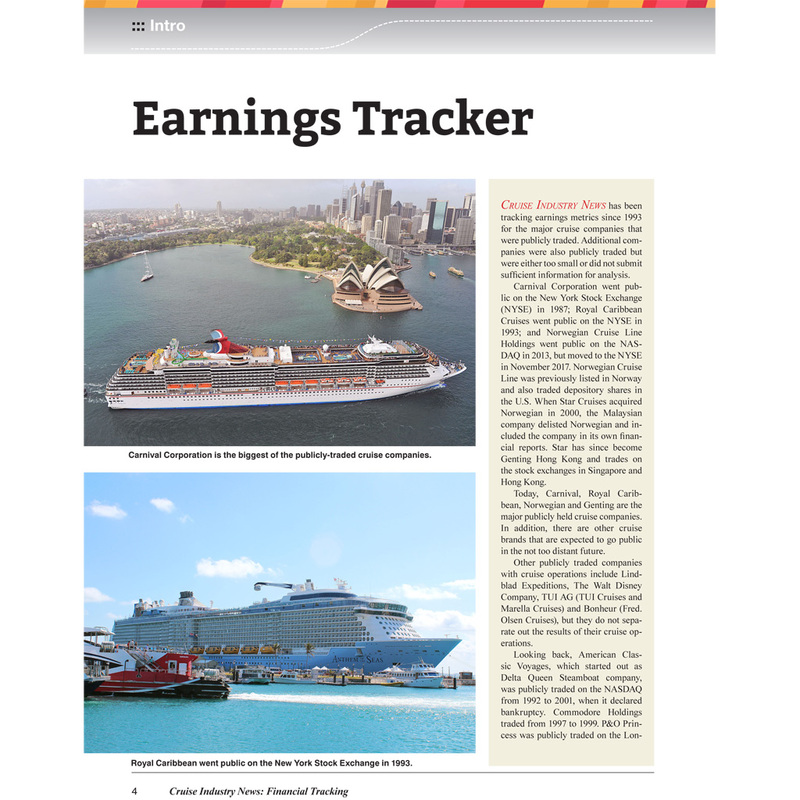 The Cruise Industry Financial Tracking Report provides an in-depth look into the financial metrics of the leading cruise companies. 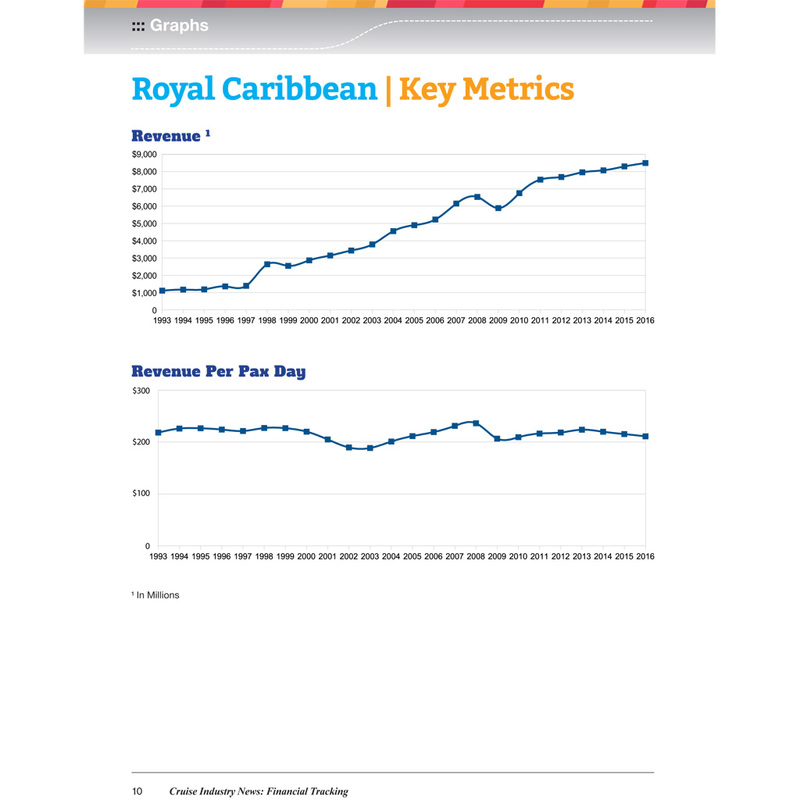 Cruise Industry News breaks down financial metrics for the public cruise companies from 1993 through 2017. 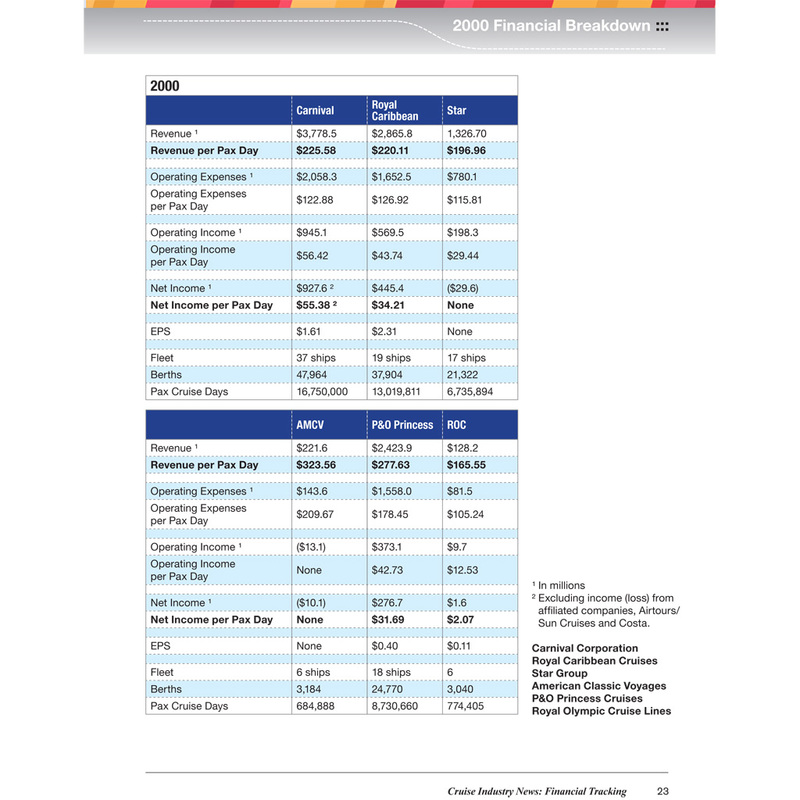 A 40-page PDF report with key financial earnings data and metrics for public companies from 1993-2017. Included: Carnival, Royal Caribbean, Norwegian, MSC, Star/Genting, Royal Olympic, P&O Princess, Regent, American Classical Voyages and Commodore. 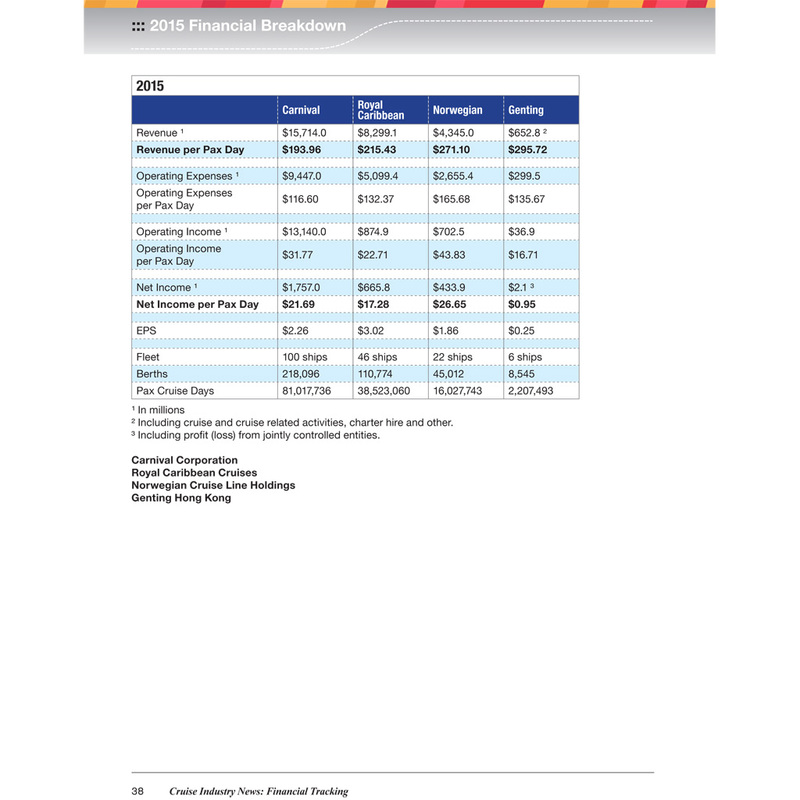 Numbers and earnings show key trends, market growth and deliver insightful investment background information.